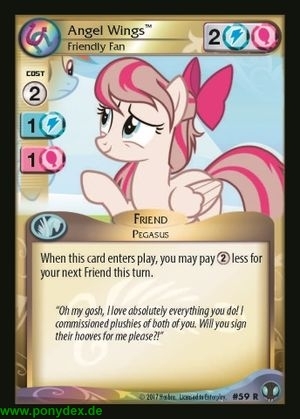 When this card enters play, you may pay 2 AT less for your next Friend this turn. "Oh my gosh, I love absolutely everything you do! I commissioned plushies of both of you. Will you sign their hooves for me please?!"